Wedding Invitations Tips & Advice. One of the most important previews of your wedding is the invitation. Typically sent out two to three months ahead of time, a wedding invitation sets the tone and expectations for your special day. It’s the first impression your guests have on what they can expect to see at your event. Save the dates and invitations also serve the essential role of informing your guests on all the details they need to know. Follow the tips below to ensure your wedding stationary is a perfect match for your perfect day. Write down your guest list before choosing your invitation. This will help you determine how many individual invitations you will need so you can select a design that fits within your budget. Consider the size, thickness and shape of your invitation. All three of these aspects factor into the overall postage cost of sending it. For example, a square envelope costs 21 cents more to ship than a rectangular one. This may seem minimal but when multiplied by 150 invitations that equates to additional $31.50. Add a thicker bow and you are looking at an additional 30 cents or more…. per invitation! Choose the right wording. Consider who’s hosting and the type of ceremony you are having to find the best way to phrase your invitation. For more tips, check out this post from The Knot. Always include a “respond by” date. A general rule is two weeks before the nuptials. Make it easy for guests to reply by including postage. This minimizes the risk of people forgetting the stamp and the RSVP getting lost in the mail. To reduce costs use a postcard RSVP. They ship for 35 cents each compared to 49 cents for a standard envelope. Combine information when it makes sense. The more individual pieces you have in the invitation the more likely your guests will miss something. Consider double-siding when possible. Pocket invitations are also a great way to keep all the components together in one pretty package. More bulk equals more postage. The heavier your envelope is the more you will pay in shipping costs. Print supplements on lightweight cardstock to minimize their impact on the weight. Make sure they don’t get missed. While these pieces should not be the same size as the main invitation, they should be large enough so they won’t be overlooked. 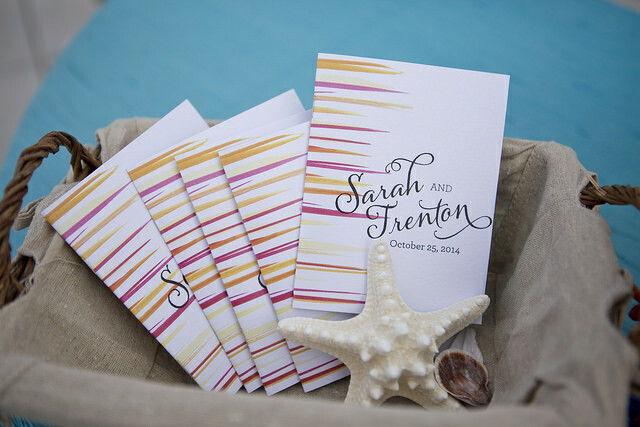 Your wedding planner can also be a helpful resource when choosing and designing your wedding invitations. As Chicago’s most experienced event coordinator, Windermere Elegant Weddings has helped countless couples with their invitations needs. We are a proud distributor of Carlson Craft Invitations. Featuring the most current in wedding colors and design, Carlson Craft Invitations offers the SOMETHING DIFFERENT collection. Let us help you find the perfect invitation to compliment your unique event. Visit us online to learn more.